A Rat Rod is a retro styled car made similarly to hot rod cars. 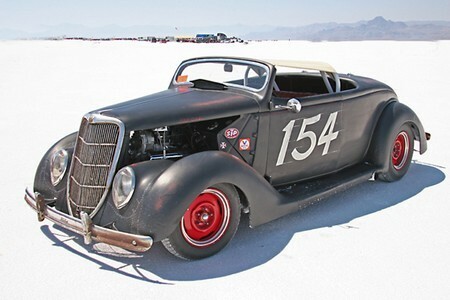 In modern terms, hot rod implies a car from a retro era that was made for racing and high speed. A Rat Rod is virtually the same idea, but, there is no emphasis placed on what this vehicle has to look like. When you construct your own Rat Rod this car will be especially unique to you. Here is how you can build a custom Rat Rod. Continue reading. Pick out your engine, Determine what type of frame you would like your Rat Rod to have. The engine will depend on the weight you need it to carry. If you have a bigger budget you can shop online for engines. Weed them out according to their performance and your specific needs. If you have a smaller budget, try shopping at local junk yards to see what may be available for a reasonable price. Decide on a frame for the Rat Rod. You can either build your own, or purchase one. This style car gives you the flexibility to choose whatever you want, but the frame needs to have the ability to sustain the vehicle at high speeds. Lightweight metals and composites are popular choices. Mount the engine inside the frame. Install your power components like the battery, transmission, wheels and axles. Some parts may be easier to find than others. Especially, if you are using a junkyard to supply your Rat Rod needs. Test the engine to make sure it starts and runs smoothly. Turn the wheels. If you can accomplish these basic things then the remaining aspects will be easy to get through. Install the steering control mechanism and the gas and brake pedals. You can decide where these should go according to your design. However, make sure you leave adequate space for a seat. You will need to be able to reach all the controls in the car. Finish the body of your Rat Rod and the interior style and layout. You can make the interior as simple or as complex as you want. Make sure the body panels serve a purpose. It should do several things for the car. The body panel should increase the car’s aerodynamics (called decreasing drag) or, it should increase the amount of tire grip much like the function of a spoiler. Keep in mind that any body panel added will increase the weight of the vehicle. Popular designs include flames, skulls and other abstract decoration.